Do you have occasion to wear a name tag? 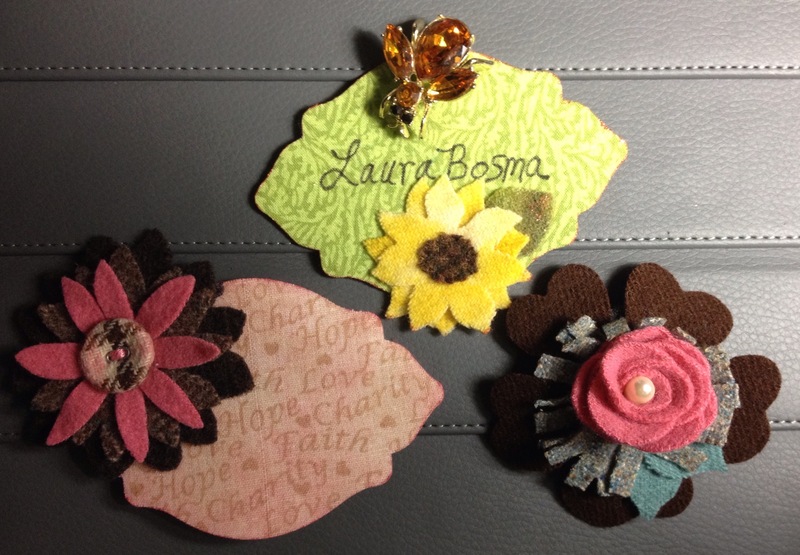 I participate in several stitching groups and name tags are encouraged. 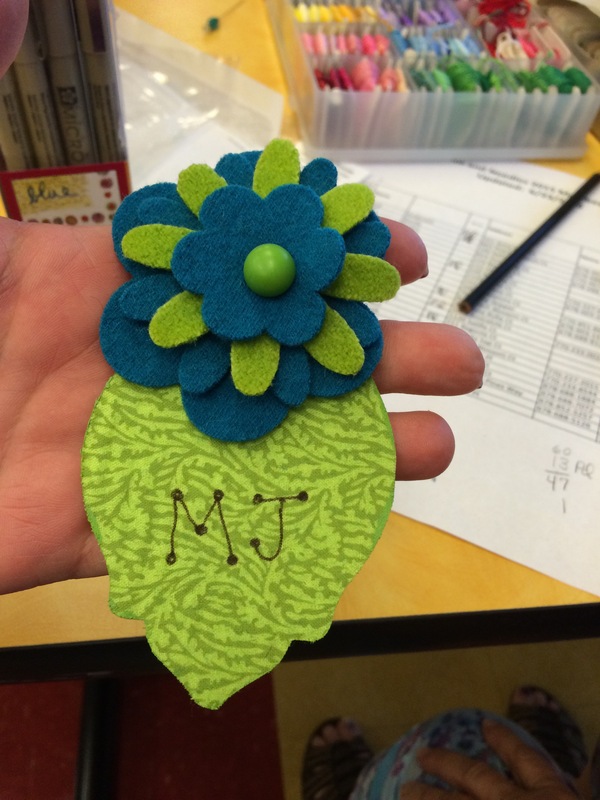 Sizzix has a number of label dies that make wonderful name tags. 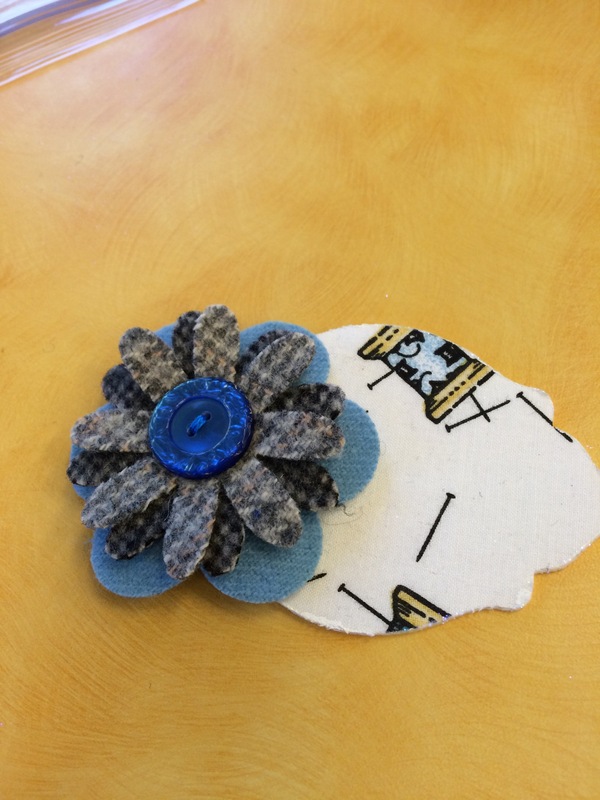 Here is how I prepare my name tag: fuse fabric to both sides of Peltex then die cut desired shape. Apply white glue to the side/perimeter, it’s about 1/8″ and dust with your favorite fine glitter. Yes you could stitch around the edge, but the glue and glitter is so quick and accents the edge without overpowering. 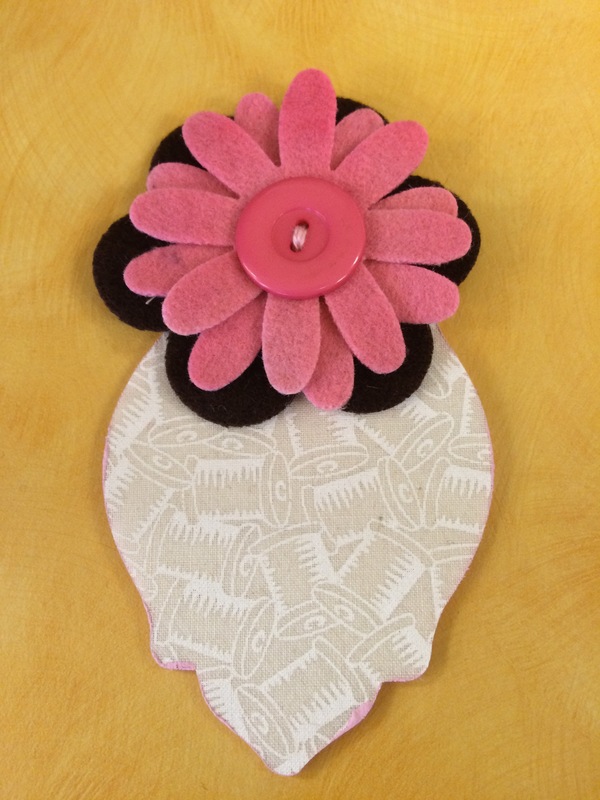 Select your favorite Sizzix Flower Layer die and make an embellishment for your name tag. Use a Pigma Pen or other permanent none running ink pen to write your name. I usually use a corsage pin to pin my name tag to my garment. 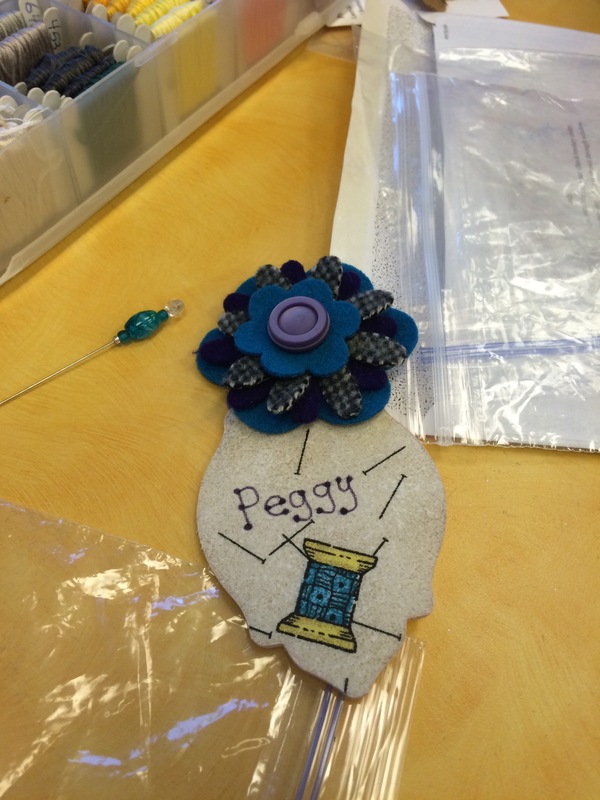 Met with the Pins and Needles group and they made Name Tags from kits I prepared.